Big Big Baller is an action-packed game which involves taking control of an out of control ball, which is hell-bent on taking out every item in its path. Your goal playing Big Big Baller is to create the largest ball that you can. 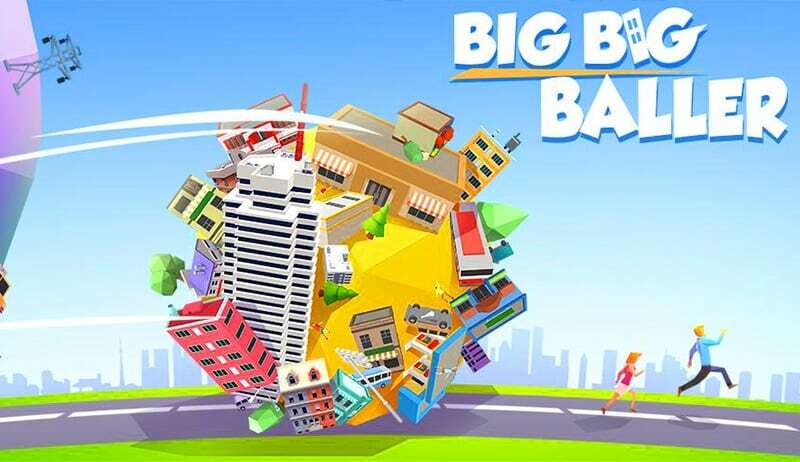 Big Big Baller takes place in a cute, animated city and involves using your ball to roll over as many items as you can. Each time that your ball rolls over an object such as a small car, your ball will grow bigger and will be able to run over even bigger items. 1. Big Big Baller offers an exhilarating multiplayer mode. If you enjoy multiplayer games which pits you against a wide variety of real-life opponents, stop what you’re doing and spend some time playing Big Big Baller’s online battle arena mode. 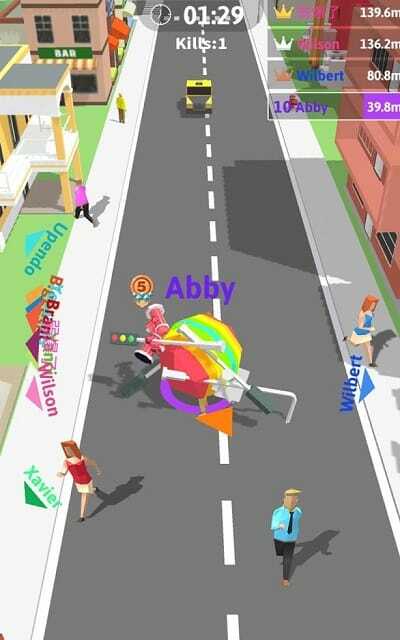 Effectively Big Big Baller’s multiplayer mode is a battle royale style competition, where your goal will be to increase the size of your ball as soon as possible, to avoid being run over by bigger balls. If you’re run over by a bigger ball, which is controlled by a rival competitor, you’ll be killed and ejected from the competition. 2. Big Big Baller is easier to learn but hard to master. One of the advantages of playing Big Big Baller is that it’s easy to learn but difficult to master. So while you’ll be able to progress through Big Big Baller’s multitude of levels quickly enough, in order to beat the most seasoned multiplayer gamers, in Big Big Baller’s multiplayer mode you’ll need to practice, practice practice. 3. Big Big Baller boasts a dedicated following. If you’re keen to play Big Big Baller’s multiplayer mode and are concerned that you may struggle to find opponents to crush, there’s no need to worry as Big Big Baller has been downloaded by millions of gamers. So you shouldn’t have any trouble finding competition at any time of day. 4. You’ll get to run down buildings. As your ball grows you’ll get to graduate from rolling over trees and cars to rolling over houses and large-scale buildings. 5. You’ll be able to try and beat your high score. If you’re up for a challenge, you’ll also be able to try and beat your high score as each time you play Big Big Baller your ball will be measured. 6. It features a wide variety of unique challenges. Another reason why it’s worth downloading Big Big Baller is that it features endless single player challenges. As an example, one challenge may involve trying to grow your ball to a certain size in a limited amount of time. While another challenge may involve trying to knock down a series of items, within a short time frame. 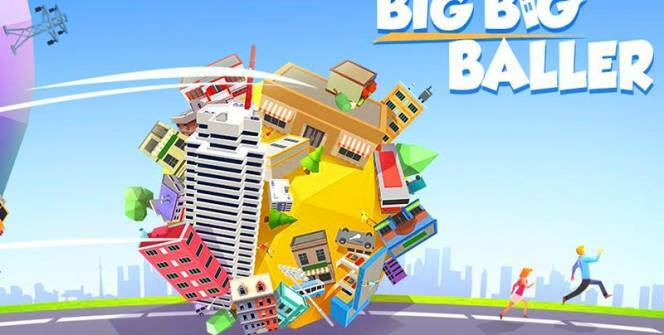 So if you like the sound of bowling down huge objects such as cars, houses, and buildings, do yourself a huge favor and download Big Big Baller today. As Big Big Baller is set to become one of the most popular games of the year! Sometimes when playing Big Big Baller, bluestacks ask you fee to pay but gives you option to download some apps. Every time it asks you just select “Install apps” and continue using it free. I hope you enjoyed this article, please rate and share. If you have problems running Big Big Baller on your desktop or any other issues, leave a comment below.